Home/ Shop By Brand/ Paul Parkman/ Paul Parkman ''VT578NVY" Navy / Black Genuine Stingray / Crocodile / Calfskin Apron Shoes . 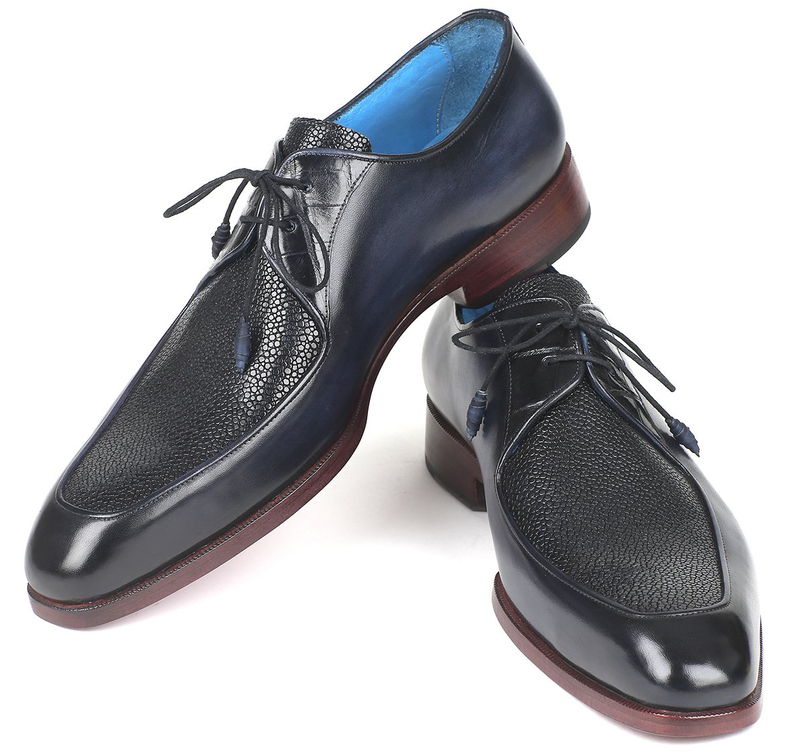 Paul Parkman ''VT578NVY" Navy / Black Genuine Stingray / Crocodile / Calfskin Apron Shoes . 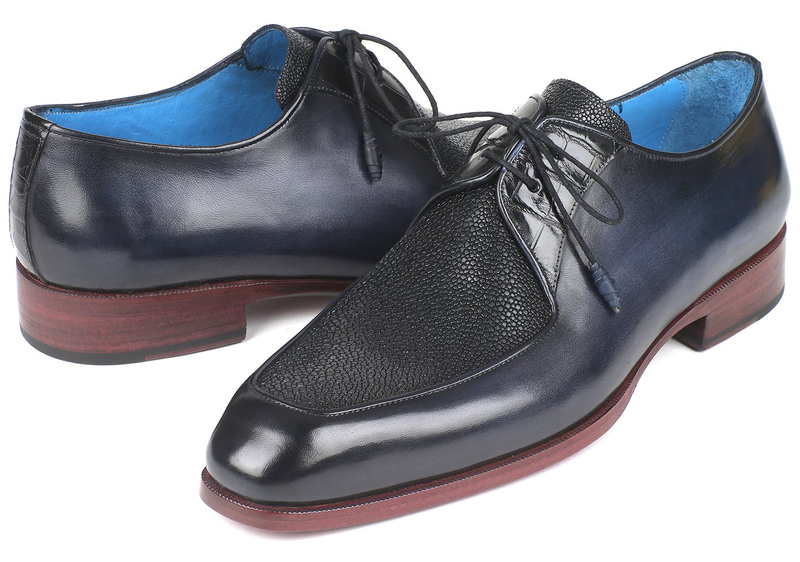 Upper is a mix of black stingray, crocodile and navy calfskin. 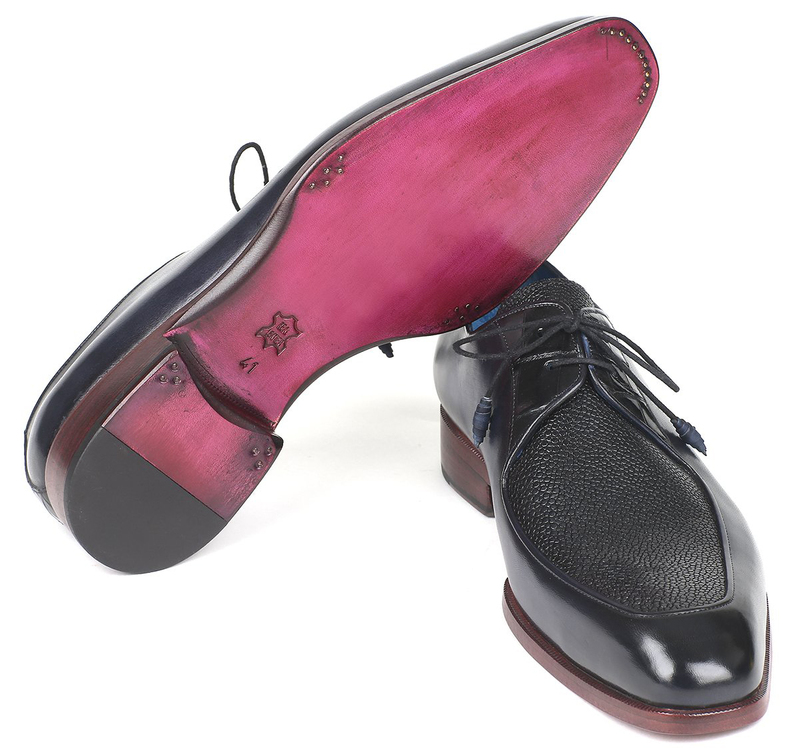 Apron derby style exoticskin dress shoes for men.